People like to set different ringtones on their iPhone 6 Plus, iPhone 6/5S/5/4S to distinguish the call, message on the device or just identify the caller without picking up the iPhone device from their pocket. Thus, it is inevitable that you have saved lots of ringtones on your iPhone, and they may have different formats, such as MP3 ringtones, M4R music ringtones. MTV music ringtone, or video ringtones. Some of the iPhone stylish ringtones my be significative for you and you may wish to backup them to your desktop computer for security consideration, right? Then, you've been the right place. In this page, we'll show you an effective way to transfer ringtones from iPhone to computer or Mac at ease. You can keep reading this article to learn more details. Is It Possible to Backup iPhone Ringtones to PC or Mac? Why Need An iPhone Ringtone Transfer Program? We know that people can customize an exclusive ringtones for their iPhone 4S/4, iPhone 5/5S, iPhone 6 Plus/6 while others are tending to purchase all kinds of ringtones on iPhone from the iTunes store in the daily life. But no matter where the ringtones from, you may never wish to delete, lost or format them by accident, right? However, iTunes is an one-way tool and has copyright protection, so that it has no ability to export ringtones from the device to the computer directly. That's why you need an iPhone Ringtone Transfer program to act the best assistant here. 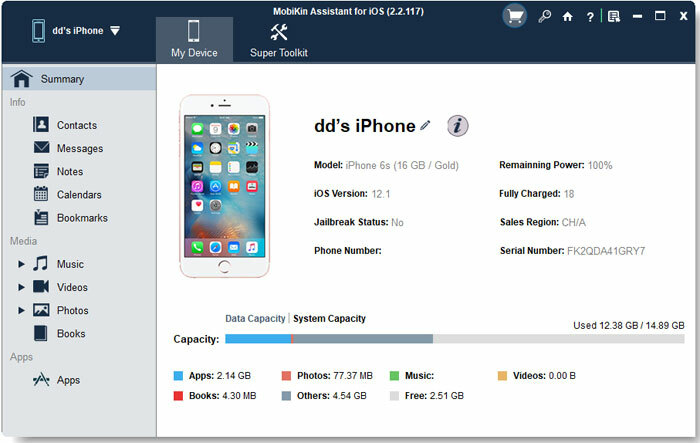 With the MobiKin Assistant for iOS, you can transfer or copy ringtones from all models of iPhone like iPhone 6, 5S, 5, 4S, etc. to PC selectively or in a batch. In addition to the ringtones, other files like music, movie, photos, playlist, etc. can also be transferred to your personal computer with the help of iPhone Ringtone Transfer program. What's more, MobiKin have also developed Assistant for iOS (Mac Version) to meet all Mac OS X user's needs. Now, just click the below icons to take a free trial on this powerful program. Even though the program have Windows and Mac version and they're running on a totally different system. But actually the operation of them are similar. So here, we'll only take the Windows version as an example. If you're using the Mac version, you can go through the following instructions and follow them on your Mac computer step by step. Be sure the program have installed on your computer, then connect your iPhone to the computer via its USB cable, and run the program. By default, the program will automatically detect your device and show you an interface like below. But if it doesn't show that interface on your PC, you can click "Refresh" button to detect your device again. Note: In order to make your device can be recognized by the program successfully, please ensure the iTunes have been installed on your desktop computer. Find and open "Ringtones" option in the left panel, and then you can preview the whole ringtone list in the right panel. Mark the ringtones you wish to copy, then you can click "Export" button to save the selected ringtones to your computer without losing. Here, if you wish to backup the whole ringtones folder on your PC, you can click the image button of hook on the top menu to select the whole files at one time. 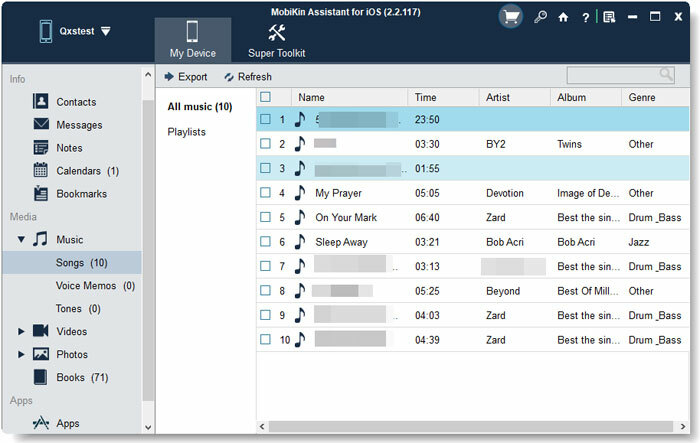 Now, all precious iPhone ringtones have been transferred to your Windows or Mac computer, easy, right? Then please don't hesitate to click the below icon to experience the powerful program by yourself! How to Transfer TV Shows from iPad to Computer? Notes Disappeared? Let's Backup or Transfer Notes from iPhone to Computer!